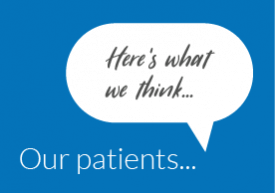 Your feedback is important to CTMH | Doctors Hospital. Find our survey online or in our lobby. 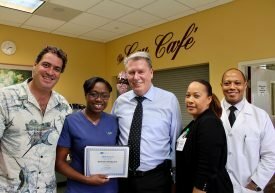 Help us continue to offer Exceptional Care Close To Home. 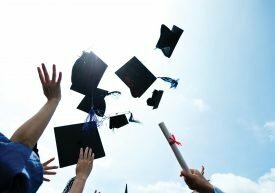 CTMH Scholarship 2017 | Apply Today! 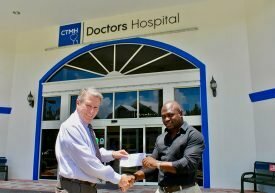 CTMH | Doctors Hospital is now accepting applications for it’s 2017 Scholarship Program. The scholarship is available for tuition assistance. 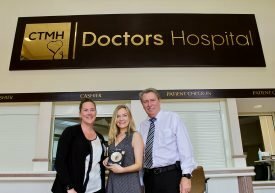 CTMH | Doctors Hospital – First Baby! 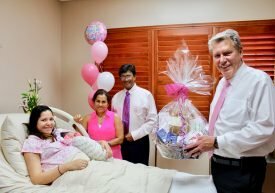 CTMH Doctors Hospital has the only private maternity suites in the Cayman Islands. 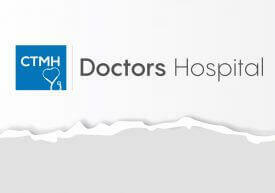 They have been designed for your comfort, ensuring a positive and memorable birthing experience. 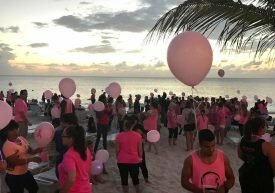 On Saturday, March 11th, the Multiple Sclerosis Foundation of the Cayman Islands held their inaugural event: Pretty on the Outside at the National Gallery. 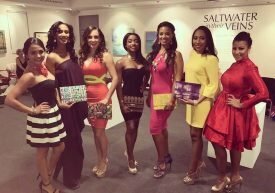 This spectacular event consisted of a fashion show, featuring the handbags and clutches created by Louise & Eleanor, and modelled by the Miss Cayman Islands 2017 contestants. Alyssa Christian, chairman of the foundation, along with Louise & Eleanor, created a clutch specifically for MS, The Hope Bag. This special bag was launched at the end of the fashion show.